Our company does all aspects of barbecue repair, barbecue cleaning, and barbecue restoration. We are factory trained and certified to work on all the major brands of grills including Alfresco, Capital, DCS, Fire Magic, Kalamazoo, Lynx, TEC Sterling, Thermador, Twin Eagles, Viking, Weber, and Wolf. 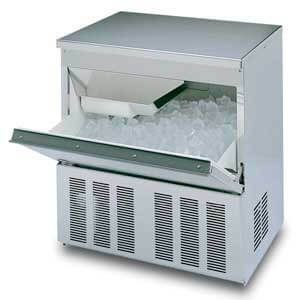 We specialize in all top models, European brands, and higher ticket item barbecue grills. Those higher priced models were built to last as long as you do good maintenance on them. It’s very important to hire a professional when you have a problem. Our team of highly skilled barbecue repair and cleaning specialists can help. We do barbecue grill maintenance, diagnostics, repairs, and cleaning. Also, we can take a very old or retro grill and completely restore it. A renovated grill will look and cook just like a new one. But this restoration process will cost you be much cheaper than buying a new barbecue grill. In fact, whether it’s restoration or repair or cleaning, we try to keep our prices very reasonable. So, before you spend your money on a new grill, give us a call and find out if your barbecue grill is worth saving. We work on gas BBQ, charcoal BBQ, electric BBQ, portable BBQ and smoker BBQ. Don’t hesitate to call us for a free, accurate over the phone quote. 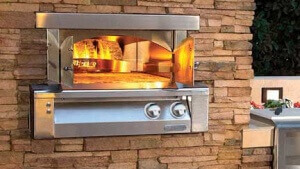 Top Home Appliance Repair is professional BBQ repair company. But that is not all we do. We perform refrigerator repair, washer repair, dryer repair, dishwasher repair, stove and range repair, oven repair, steam oven repair, microwave repair, freezer repair, ice maker repair, pizza oven repair, patio heater repair and many other appliance repair services. We serve both residential and commercial appliances. 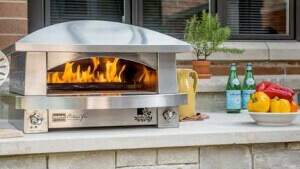 So we can help you with a barbecue repair and barbecue cleaning of commercial barbecues, ovens, pizza ovens, etc. If you own a restaurant, catering company or cafeteria we can help you as well. With flexible scheduling, we can respond to any appliance repair emergency. Whether your refrigerator stopped cooling or your stove is leaking gas, or your dishwasher does not work anymore. Just give us a call, and we will be on our way to your location. Our service area includes East Bay, Marin County, Oakland, and Novato as well as surrounding areas. We work in Contra Costa, Concord, Danville, Discovery Bay, East Bay, Lafayette, Oakley, Orinda, Pittsburg, San Ramon, Walnut Creek, Santa Clara County, Sunnyvale and the rest of neighborhoods near East Bay. Our two offices are centrally located in the city of Oakland and in the city of Novato. Therefore we are able to come to you fast and repair your appliances right away. We carry all the appliance parts and equipment with us. Be it barbecue repair, barbecue cleaning or any other appliance repair we will be able to do an excellent job for you. 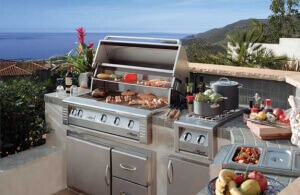 We are top company doing barbecue repair in East Bay as well as barbecue repair in Marin County. But that is not all we do appliance repair on all brands and models of appalices. For example Asko, Bertazonni, Bosch, Dacor, DCS, Electrolux, Fisher&Paykel, Frigidaire, GE, Jenn-Air, KitchenAid, La Cornue, LG, Liebherr, Marvel, Miele, Perlick, Samsung, Siemens, Sub-Zero, Thermador, Traulsen, True, Viking, Whirlpool, Wolf and many other brands. After we are done repairing your barbecue, we will do a full safety check to make sure that it is safe for you to use. We will also give you so tips on how to keep your barbecue in top shape. We also do thorough and professional barbecue cleaning. The materials we use are gree and biodegradable. We will leave your barbecue sparklingly clean, and your food will taste better. Customer satisfaction guaranteed! 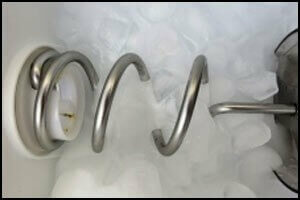 Good maintenance is the key to giving your appliance the longevity. Also, it helps with keeping the costs down. But it is often a hassle for you to keep all of your appliances well maintained. That is why our company offers an easy professional maintenance plan for its customers. We will come and check all of your appliances or just the one you want us to check on an annual or bi-annual basis. Our company will fit this program around your needs. This service induces total check-up of appliance functionality, changing filters, defrosting and cleaning of the internal mechanism. 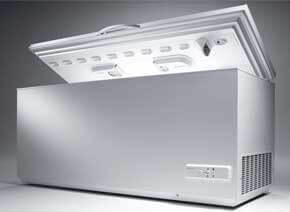 We will make sure your refrigerator is performing great. Our team will catch any problem before it becomes too big or expensive saving you time and money. This program is ideal for gourmet kitchen appliances and deluxe appliances but can work for any kitchen. Why choose us to do barbecue repair for you? 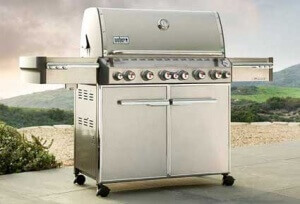 We are highly qualified and skilled barbecue repair specialists. We know all the ins and out of making barbecue repair affordable for our customers. Our team is trained and certified by the same companies that make those barbecues, so they can be trusted to do the work. Customer service is very important to us, so we will make sure the appointment is convenient and fast. You will not need to wait for parts. We carry most of the parts with us. And our team is always polite and helpful. Your barbecue grill will be cooking great and look clean and shine after we get done with it. We are experts in all appliance repair. For all your barbecue repair in Oakland and barbecue repair in East Bay call us at 925-265-7782. For your barbecue repair in Novato and barbecue repair in Marin County, please call us 628-214-0064. We work in Alameda County, Alameda, Berkley, Dublin, Hayward, Livermore, Oakland, Piedmont, Pleasanton, San Leandro, Contra Costa County, Antioch, Brentwood, and Clayton. This will be the third time I have used this company. Setting an appointment is easy and they can be at your house the same day. This time it was my Weber barbecue that needed work. They did excellent job fixing it. Now it looks clean and I can barbecue without a problem. They are definitely a company I trust and can go to when I have an appliance problem.